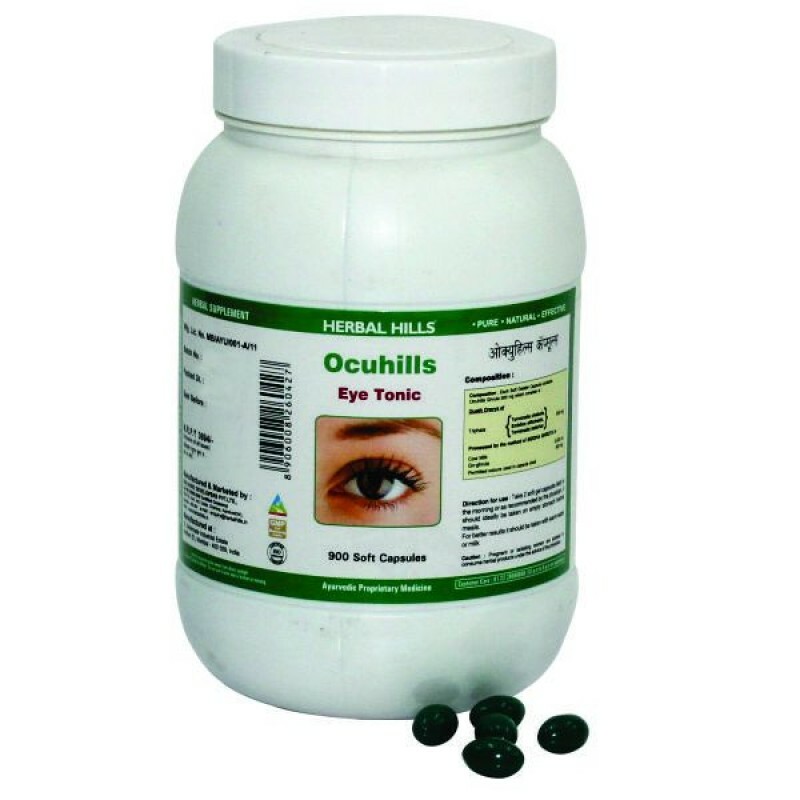 Ocuhills Value Pack 900 Capsules - Eye TonicOcuhills is a classical ayurvedic preparation of Triphala Ghruta. It contains Triphala as its main ingredient processed with ghee. - Eyes are considered as Pitta sthan & are advised to protect from kapha for maintaining its health - Ocuhills contains Triphala processed in Cow's ghee - Triphala besides detoxifying digestive tract, improves metabolism. It is described as Rejuvenator. It is described as Netrajai i.e. helpful the eyes. - Its antioxidant property helps in protecting eyes from damage by free radicals.Â It rejuvenate property provides protection to the Â eyes. - Cow Ghee is also considered as coolant & rejuvenator.Benefits : - Triphala helps to provide protection to the eyes from damage caused by Sun/dust. - Its rejuvenative property helps the nourishment of the micro channel, thereby protecting normal vision. - Cow ghee helps in cooling eyes. - This unique combination promotes eye health.